A gate opens into a garden, the center of which , is the tree of knowledge, symbolic of open access to ethical research. Can one imagine what it was like before the digital era, when a scientific discovery, like that of insulin by Banting and Best, took several years to disseminate? Three decades ago, we had to wade through volumes of Index Medicus just to harvest a handful of articles available in the library. Nowadays ask an intern a trick question and he will cough up the answer in five seconds because he has "Googled" trick questions endocrinologists ask. The digital era has opened the doors to a surfeit of knowledge and has engendered more research. The only problem with open access in the digital era is that it has likewise engendered plagiarism. 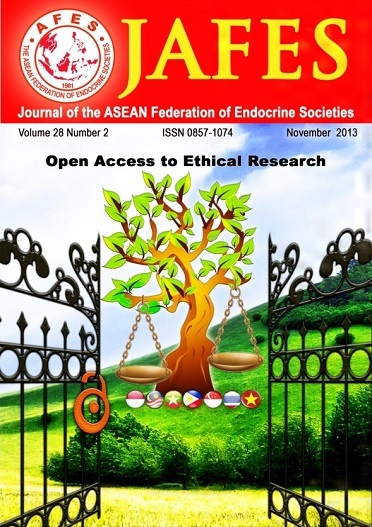 Open access for ethical research includes respect for intellectual property rights and moral certitude.